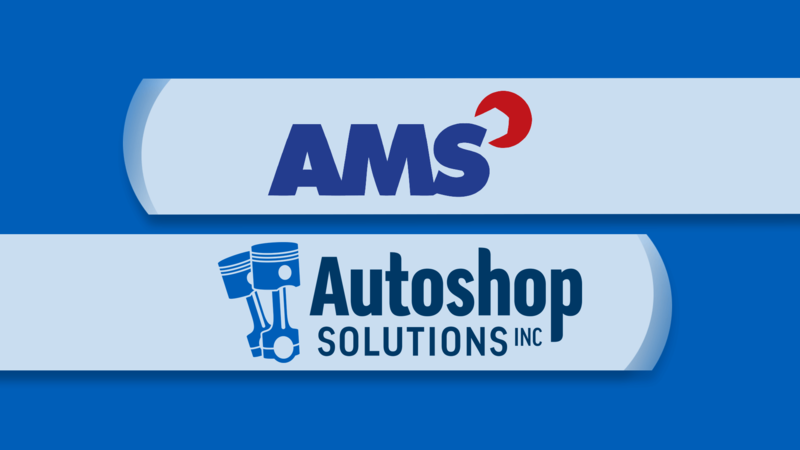 AMS Protractor - Autoshop Solutions Inc.
AMS Protractor has chosen Autoshop Solutions to provide a turnkey solution for marketing success. AMS Protractor and Autoshop Solutions partner together to bring you Website + Adwords + Social Media + SEO = Marketing Success! AMS clients receive a 50% discount on the set up fee, ask for details. AMS Protractor wants your shop to be as successful as possible that’s why they’ve partnered with us at Autoshop Solutions to help bring you the marketing success you need to really grow your business and bring more cars to your bays! Autoshop Solutions offers a powerful turnkey package created specifically with and for AMS Protractor to fit your marketing needs. With the Autoshop Solutions Internet Marketing Success Package. Everything you need to be successful with one convenient monthly price. Close your eyes for a moment and picture the inside of a clock with all of its gears and knobs working together to successfully function to display the time. Essentially, this is what marketing is. Marketing doesn't have one single component, it's made up of several individual complex components that work together to create a larger & more impressive result, just like the clock! To have a fully functioning marketing campaign, each fuction needs special attention and care. A few of these functions include pay per click advertising, SEO, social media, reputation management, direct mail, content creation and call-tracking. Yikes, that's a lot of components requiring lots of time! No need to worry, Autoshop Solutions has all the help you need since we have specialized teams for all of these components. Regardless of business size or type we promise to customize your marketing experience to reflect your unique business, set you apart from competitors, and get cars into your service bays! Secondly, you need a team of automotive marketing experts who already know how to wrestle with search engine algorithms for you. Having a team with years of automotive knowledge and expertise (that’s us) will make the difference between being found on the first, second, or third page of Google. Lastly, when it comes to SEO, results don’t always happen overnight, but with a really powerful marketing program behind you, you’ll see the results that stick. You might recognize this marketing service by a few different names: Search Engine Marketing (SEM), AdWords, Pay-Per-Click (PPC), Google or Bing Ads, etc. Although “pay-per-click” has its fair share of identity crises, there’s one thing that’s for certain. Pay-per-click advertising drives traffic to your website. We’re here to make sure this traffic is made up of high-quality leads that are most likely to become new customers at your shop. Whether you want to focus your efforts on Google, Bing, or even Facebook ads, our team of pay-per-click experts will help you get the most bang for your buck! The best part? You only pay when someone actually clicks on your ad. And the only people clicking are already searching for one of your specific automotive services, which means they’re interested in your shop. Plus, we make sure you show up for the services that will bring you the biggest ROI for your pay-per-click campaign. What a better way to connect with your potential customers than to tell them your story with a video? Websites with a video clip have been proven to generate 4-7 times more engagement and 90% of consumers stated that a video clip helped them make a decision on a buying process. 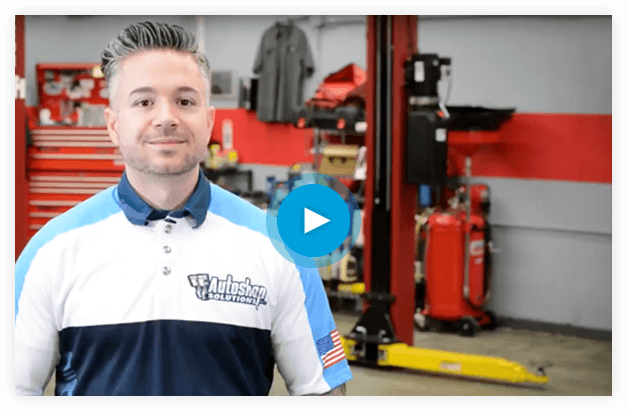 Whether it’s a video for your website, an ad or just content to post to your social, Autoshop Solutions can help with all of your video content needs. We will create a creative & custom-written script for your video, find talent for recording, consult with you about video topics and then help upload to your YouTube channel. Finally, your videos will be streamed to your website, so that those 90% of customers have an easier time deciding to choose your shop for their auto care needs! With the number of mobile searches beating out desktop, responsiveness is no longer a question - it’s the answer. Responsive websites deliver a flawless user experience across mobile, tablet, and desktop devices. Keep your shop looking professional and generate more leads with an award-winning website with automotive marketing. The days of ignoring social media are long gone – and that goes for any size business. Your shop needs social media marketing, not only because 81% of people worldwide are on social media, but because it affects your overall online presence. What does that mean, exactly? Search engines like Google are looking at your activity across the web (not just on your website) to determine if you’re a reputable business. Our social media marketing will provide you with engaging content that proves your shop has what it takes! The social media experts at Autoshop Solutions know how to craft engaging content for the automotive industry. Our content drives brand awareness, customer engagement, and ultimately helps you build a stronger following. We’ll even post social media content when your followers are most active so that your shop is seen as much as possible. After all, if you can reach customers in their downtime on social media, you can capture their attention and leave a lasting impression. These days, customers have access to endless resources to guide their decisions on which companies to trust. Reviews have become a critical piece of the puzzle, so much so that over 90% of customers read online reviews before choosing a repair shop, and 88% trust them as much as word-of-mouth from a friend. It’s never too late to start working on your online reputation, and it all starts with Review Management! Instead of having to constantly check your ratings across the web, our team of experts will automatically monitor numerous platforms for your business, including Google, Yelp, and Facebook. We’ll even be able to craft quality responses to bad reviews when you need a little help smoothing things over. Last but not least, don’t miss out on our review acquisition efforts that can help you get more reviews! Between alerts, responses, and acquisition, we’ll make sure your shop stays on top of reviews more easily. If you’ve heard any buzz from the marketing world, you may have heard the phrase “Content is King.” We write 100% custom content for your shop’s website because it truly matters. Search engines like Google are constantly reading your website to see if you’re a good resource for automotive services. But if your content matches another website word for word, just think of Google as a grade school teacher who would fail you for plagiarizing. Trust us when we say – it’s just not worth it. The content creation team at Autoshop Solutions will not only help you get a good “grade” with custom writing, but we’ll also make sure it converts. After all, what good is a website full of great content if it doesn’t also attract new customers? That’s where our expertise comes to play – using our automotive marketing knowledge to continuously drive your shop forward. At Autoshop Solutions, we help shops like yours get online and get more cars in the bays. Contact us today to learn more! Compare our packages and find the best fit for your shop.